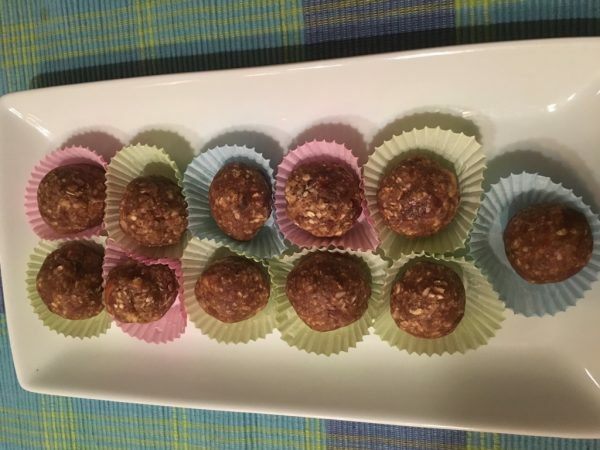 A quick healthy dessert to satisfy your sweet tooth without compromising too much of the health quotient. 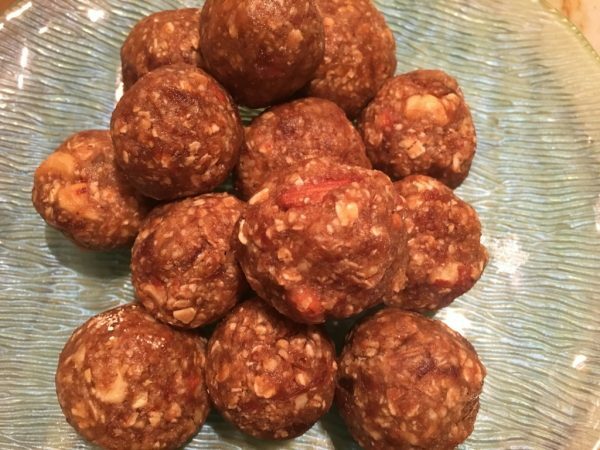 Made with only dates, oats, nuts and a little bit of ghee, takes all of about 15-20 minutes to make (excluding the dates soaking time). I completely forgot to take pictures as I was making this, but it's such a simple dish and got done within 5 minutes once I had everything ready, that I felt it was okay to post just the results! Enjoy as a snack, as a moderately sweet dessert, or as breakfast! Experiment/substitute with other nuts such as pistachio, walnuts, etc.